The photobook’s back cover should be designed as the front, and the front as the back. The inner pages should be designed from the end to the beginning. For example: In a photobook with 40 pages – page No. 40 would be the first page of the photobook, and so on, while the first page should be designed as the last page. Do not place objects like a photo box or a text box, in the front page parallel to Lupa’s logo location (this page would be the back cover of the photobook), since Lupa’s logo will be transferred to the front page, that from now on would be the back cover of the photobook. Do not add page numbers to the photobook pages. 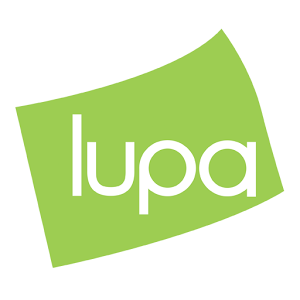 In order for Lupa’s team to move the Lupa’s logo position to the other side – the check box should be marked (V), at the same row mentioning it’s a foreign language photobook. This action takes place during the photobook order process. this operation can’t be performed in photobooks, designed by the smartphone App. Click here to watch an explanation about designing a foreign language photobook.